Postcards from the Road: Series 002 — Blake Erik. Often, we take photographs because of what a place made us feel. Photos don't exist in isolation, which is why photos paired with proper context often make for something that feels a little more personal and meaningful. The feedback I got from SERIES 001 was honestly beyond and it's been incredibly humbling for people to have responded to my work the way they did. Unsurprisingly, because I'm all about that hustle, almost straight after I began work on SERIES 002. I wanted to make SERIES 002 a little different— so I opted for a slightly different look, which is the look of old films and subtitles. PS. As with SERIES 001, all these photographs have been turned into actual postcards which you can purchase on the shop! Just click on the link here. Keep your eyes peeled for the announcement bar above in the header for any special promotions and discounts ongoing! Ancient temples, shrines, and other such places of worship fill every town and city in Japan. It's easy to get lost in the overwhelming myriad of sights, where visiting too many can cause temple fatigue and as a result, each sight becomes less and less impactful and/or impressive. What I liked about Hase-dera (長谷寺), a temple located in Kamakura in the prefecture of Kanagawa, is that the grounds it stood on included a tranquil garden, as well as sweeping views of the Sagami Bay. When you grow up in a big metropolis, often we joke of just giving up all that stress and moving out to a small town in the country and raising a farm. And this is exactly what I thought about. Also taken at Hase-dera (長谷寺), I loved that from where the temple stood, we could see out to the rest of the small houses that dotted the waterfront, and the open waters of Sagami Bay. 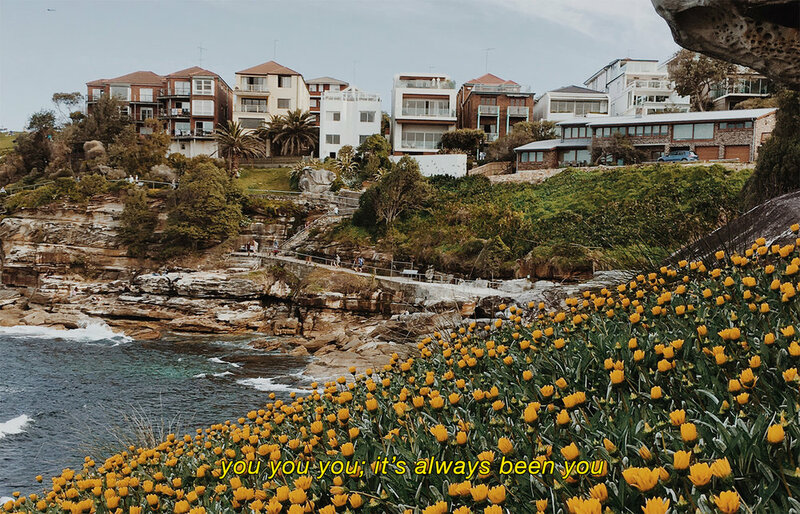 As much as I consider myself lucky for having been able to see the places that I have at my age, I'm constantly thinking about new places to visit. I genuinely have a whole laundry list at this point! I'm constantly reading about the experiences of other travel bloggers or scrolling through an Instagram feed featuring loads of sights and attractions I've never seen just to stoke that wanderlust when I'm months away from getting on another plane ride. Millennials, right? 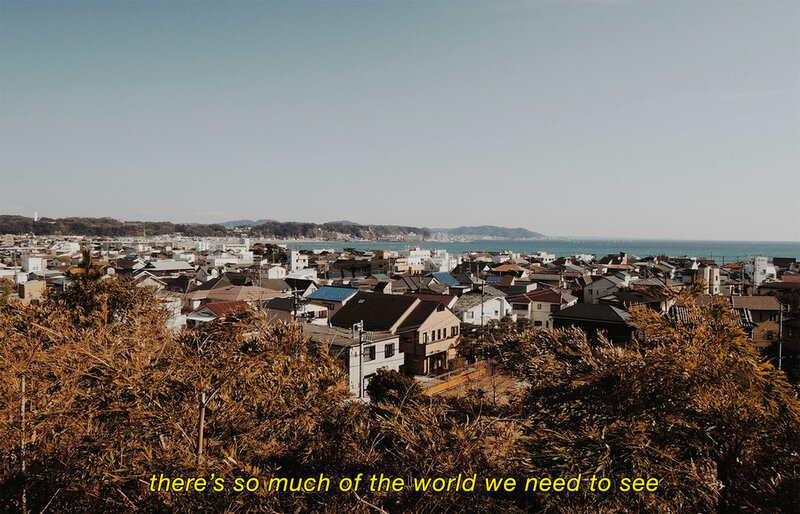 There just is so much of the world we have yet to see. As I got on the plane at Sydney Airport, the sun was beginning to set. The truth is that after all these years of flying, I’ve only taken night or morning flights to maximise time spent in a city. At the window, the sky was getting dark and the city was lighting up. As we ascended in altitude, the sun started to fall out of frame, and I thought about how constant travel (can be) lonely at times, and wishing you could share views and moments like these with someone. During my time in Tokyo, I wanted to get out of the capital and see some of the smaller towns. The great thing about rail travel, is that once you get out of the city, you get to roll through the lush countryside for a literal change of scenery. And let’s be honest, this year has been tough to say the least. Hence why I was inspired to write a better days are coming caption, because damn, the only way has to be up! And speaking of a tough time in society, with a lot of what’s been going on in the world lately, I went through some of my archives and found this shot from Nikkō, Japan at the famed Shinkyo Bridge. I like how calming this bridge looked over the running water, and what with this odd setback into the Middle Ages with the results of certain political elections, open displays of white supremacy marches and the like, it feels like all we’re doing is building walls these days. It’s time to build bridges. I’m a real sucker for blue skies— there’s something about the clear, azure blue that lifts my spirits. Maybe it’s the fact it makes me feel like I can breathe again, maybe it’s the feeling of the sun on my skin, either way, I know wherever I live in the future will definitely need to have blue skies in abundance. This was taken at the gardens at Osaka Castle, and I got to see these plum blossoms blooming. The white petals framed by the blue skies stopped me in my tracks for a bit, and I hit ‘snap’. There is no city I’ve witnessed as stunning during sunsets, as the capital city of Italy— Rome. Perhaps it’s the way the light falls on the storied buildings, maybe it’s because neoclassical architecture is my favourite kind of architecture, maybe it’s because I just bloody love Rome, I don’t know. At Piazza del Campidoglio though, we watched the sun go down on the city with the view of the Roman Forum on our left and distant neighbourhoods on the right. At the latter, I noticed these two palm trees rising above the buildings below atop a hill, and because I’m also a sucker for palms, I thought about all the people (or person) you could miss, wishing they were there to watch that sunset with you. Australia’s coastal walks are one of the biggest draws to the country for me. In the cosmopolitan harbour city of Sydney, one of the most famed ones is the Bondi to Coogee Coastal Walk. Just after I had my jaw fall to the floor seeing the Bondi Icebergs Club pool in the flesh after literally only seeing it through someone else’s lens on a screen, we trotted down the path which led us to Tamarama Beach. Just before we hit Tamarama though, there were a few paths out on the rocks and I followed the lead of other visitors and crossed out on the path to them, and the view overlooking the coastal houses was stunning. I particularly loved the framing of the flowers in bloom in the foreground, and there was no way I was heading back out on the trail without snapping a picture of that. Here’s a confession, I never fancied the idea of Paris. Maybe because I’m slightly cynical deep down, but I chose to believe the side of Paris people talked about, y’know, the one about the metro smelling like piss, everyone being rude, it being overpriced and laden with tourist traps and schemes, etc. But a (European) friend of mine encouraged me to take the plunge despite what everyone said. ”It is beautiful, you have to see it at least once in your life, c’mon,” she quipped. Given that it was along the way on our path of travels, I decided to do it. And how right my friend was. Paris is stunning, and I really didn’t expect to love it as much as I did. The diversity of people in the streets, with origins hailing from all over the world but natives of the city; how it felt like everywhere we turned was another photo opportunity; and how no one was actually overtly rude to me for no reason. Mind, I’m a city person myself and I don’t smile to strangers on the streets either. That, and I spoke my paltry grasp of French rather well, if I must say. So all the endless romanticising of the City of Love isn’t completely misplaced after all. Just in case I hadn’t waxed poetry enough about my love for blue skies and palm trees yet, here’s a photo of both! For a major city, Barcelona has a half decent beach, though I would rather Costa Brava just up the coast if I could afford the time and effort. Sharing the promenade with joggers, dog walkers, skaters, cyclists, couples, individuals, groups of friends, the young, the old, literally anyone basically, I honestly really enjoy making my way down the boulevard if only because it feels like there’s a real pulse here that doesn’t ever seem to stop. Barcelona will always be, admittedly biased here, a place that means something to me given it was the first city I ever moved to in pursuit of something greater and bigger than the shores of the island I’d been on since birth till the age of 19, but this shot in particular made me miss all my friends and family while I was there, so here’s a little something for those who get a little sappy because they miss someone when they travel.